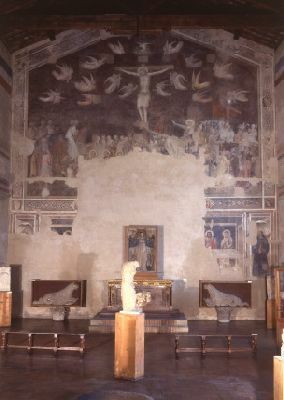 The Augustinian complex of Santo Spirito, which houses the art collection of Salvatore Romano , is one of the great religious and artistic monuments of Florence, acquired by the Muncipality in 1868. 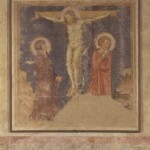 The Museum is located in the ancient Refectory of the Convent, decorated with a magnificent fresco by Andrea Orcagna depicting the Crucifixion and the Last Supper (1365 ca). 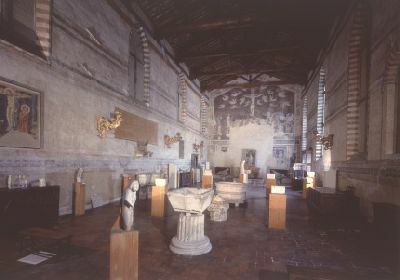 In this vast setting are displayed the sculptures donated to the Municipality of Florence in 1946 by the above- mentioned Neapolitan antiquarian, a small but selected collection that goes from pre-Romanesque to the 15th century. Salvatore Romano was born in Meta di Sorrento in 1875 and died in Florence in 1955, Although he had no background in humanistic studies, he was greatly interested in collecting antiques, a passion to which he dedicated himself, guided both by his innate passion for art, and particularly for sculpture, and by a real talent in selection. 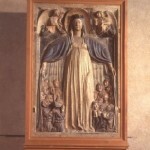 Over the course of his life, he selected in particular works of plastic art and sculpture of various styles and chronology. 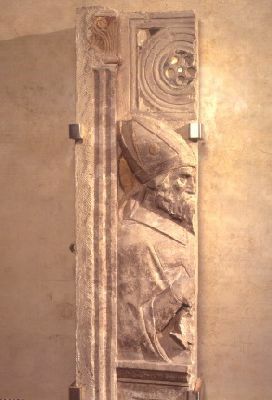 The group of Romanesque sculpture of his collection constitutes one of the very few examples of works in Florence which date back to that period. 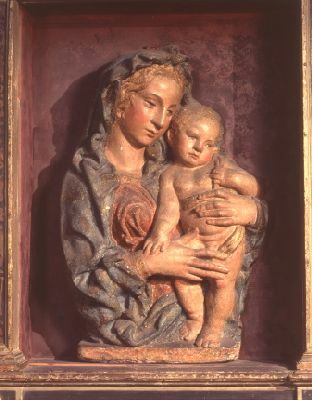 Among the most significant works are the Caryatid and the Adoring Angel by Tino di Camaino, the Madonna with Child by Jacopo della Quercia and two bas-reliefs depicting Saint Prosdocimus and Saint Maximus by Donatello, which are from the Basilica of Saint Anthony in Padua. Size: 43 cm. 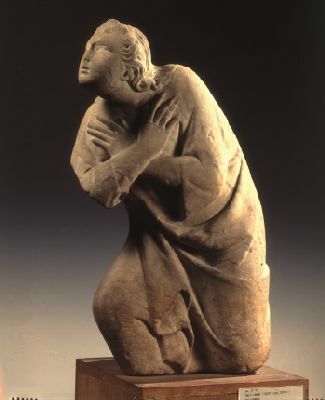 x 63.5 cm. 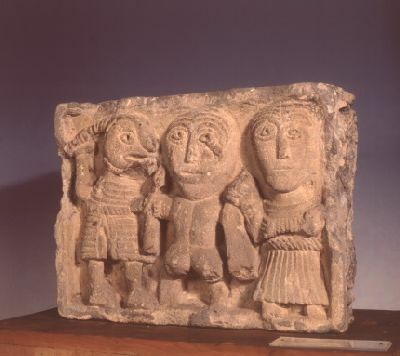 It was probably part of a funeral monument. 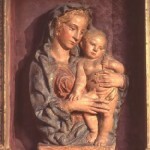 The style recalls Tino’s Florentine monuments. Size: 70 cm. x 95 cm. 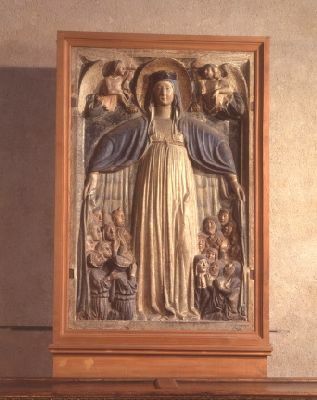 In Pope-Hennessy’s opinion, this relief, together with a similar one from the Bardini collection, is part of a series of madonnas that critics have tried to assemble according to their stylistic features into different groups influenced by either Ghiberti or Della Quercia. 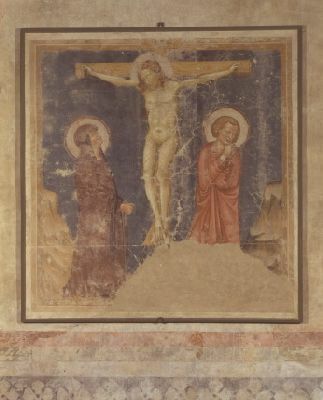 One of the most important frescoes of the Florentine 14th century, the attribution of this large fresco to Andrea Orcagna was made by Lorenzo Ghiberti (1378-1455) in his “Second Commentary”. Size: 185 cm. x 177 cm. Size: 117 cm. x 174 cm. It was probably carried out for a Franciscan church or convent, as suggested by Saints Francis and Clare kneeling among the worshippers. 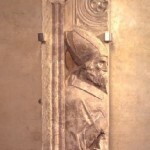 According to A. Venturi (“Storia dell’Arte Italiana”, vol. 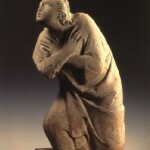 III, 1904, p. 122), it is either Saint Peter’s Martyrdom or the Flagellation of Christ. Size: 200 cm. 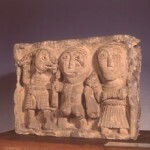 x 31 cm. 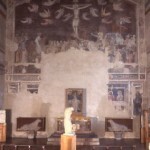 One enters the Refectory directly from the Piazza Santo Spirito, to the left of the church’s façade. 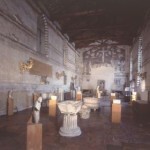 The museum is housed entirely within the large refectory. The museum is entirely accessible for differently-abled visitors with locomotor disabilities. Mondays, Saturdays and Sundays: 10 a.m. – 4 p.m.
Closed from Tuesday to Friday and on New Year’s Day, Easter Day, 1 May, 15 August, 25 December. The ticket office closes 30 minutes before the museum’s closing time. School groups: it is compulsory to present the list of names on a sheet of school letterhead.